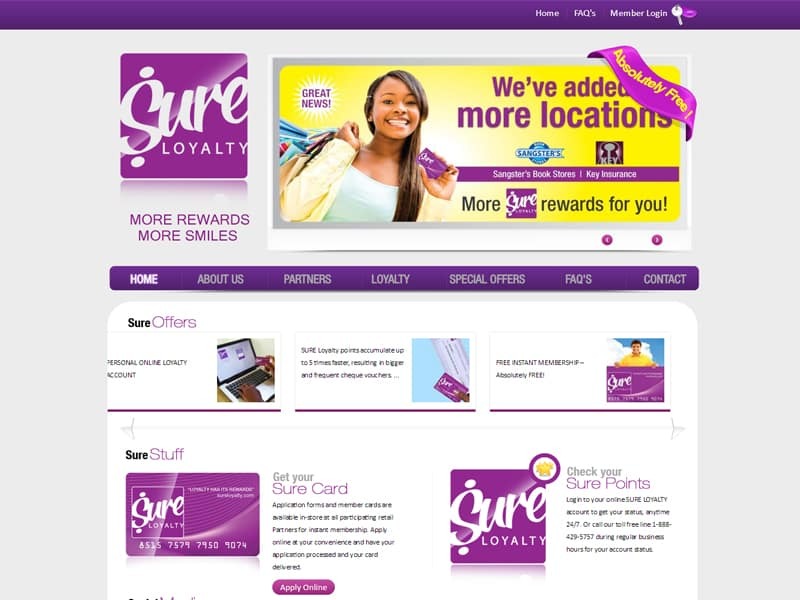 We've harnessed over 10 years of experience to bring our customers websites that work! Take advantage of our lowest prices ever and get a successful website to make your business soar. 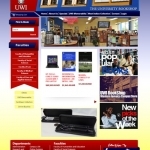 Large and small Jamaican businesses have made the wise decision to invest in well-designed websites. 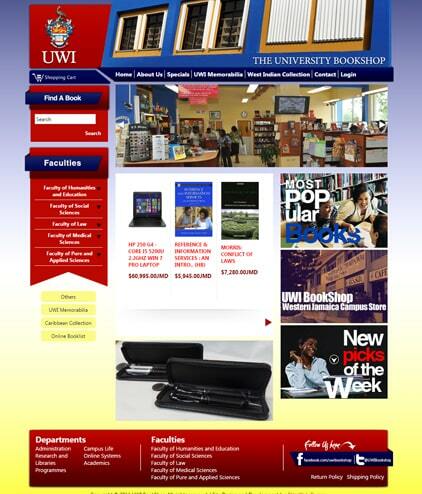 It’s no longer a question of if your business in Jamaica needs a website. Your major concern is in choosing the right web development partner to boost your online sales and visibility. 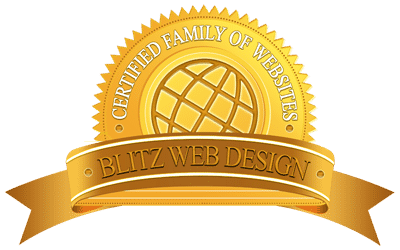 Blitz Web Design provides reliable web development services to companies across the globe. Take advantage of our lowest web design prices ever, and give your business a competitive edge while at the same time expanding your market one hundred fold. 6 Month Warranty on all plans! 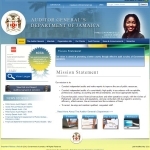 At Blitz Web Design, we boast clients from a wide variety of industries in Jamaica who have built successful websites. We measure our clients’ success by gauging how well their initial objectives match the usefulness of their present website design. Practically though, any reasonable measure of success also includes how much new interest and sales their website generates for the product or services you provide. Our clients include companies from many different professional industries and includes individuals with a wide variety of interests. We get approached by quite a few legal professionals to build a lawfirm website in jamaica or a website for attorneys in Jamaica practicing on their own. We have by far more attorneys as clients than any other single industry. We proudly boast the largest law firm in the Caribbean as one of our successful custom clients. The canons of professional conduct for attorneys in Jamaica restrict the ways lawyers can advertise for clients. A professional website seems to be the perfect way for attorneys and law firms to gain exposure within these limitations. There also seem to be a lot of Jamaicans locally and in the diaspora searching for legal services relating to land and property acquisition especially expats considering a return home. The majority of our law firm clients use their website to get leads on potential clients who request consultations through the website. The Jamaican public seems to regularly turn to Google to search for legal services in Jamaica thus making a website a low risk investment for an attorney or law firm with a very good chance of successful professional exposure. Similarly, other professional service providers such as doctors offices, dentists, medical specialists, accountants and accounting firms form a large portion of our client base and are often just as successful online. Their projects tend to be similarly successful. 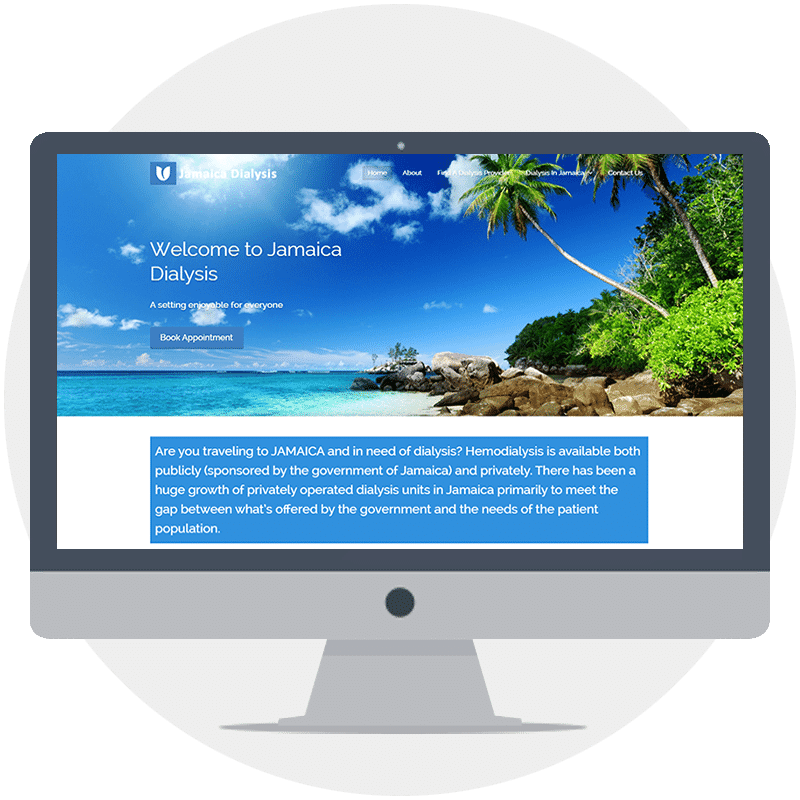 One such client receives numerous online service requests from kidney patients who must have dialysis while visiting the island from overseas. The website serves as a means of attracting new potential customers who have questions. The site is the most effective means of exposing the company’s brand and products to the overseas market and potential distributors in those markets. Instead of constantly sending out sales brochures or catalogues, the website serves as a centrally located informational resource that sales persons can use to inform customers on the go. Here too, Jamaican manufacturers have a huge audience of members of the diaspora searching Google for Jamaican products. Some or our larger manufacturing clients get website traffic from searches for a single product that may be more popular than all the others. In this way, a single stand out product serves as a way of introducing their customers to their full product offering. Another website client of ours involved in manufacturing tells us that potential customers who come to them from their website tend to be more informed and make a decision to purchase quicker than customers obtained by other means. 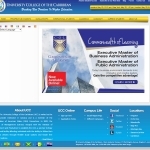 Our clients involved in event planning in Jamaica enjoy huge successes from a well maintained website. Jamaicans seem to regularly be searching for event planners, wedding planners, stage, sound and lighting providers and they are turning to search engines to find the right provider. Our clients also tell us that because event planning is all about visuals and decor, high quality images and video on their website help to entice potential customers in ways a phone call or traditional ad cannot. These clients are also successful at cutting down the time required to convey information to clients. This helps them to make decisions faster with a strategic website design which steers the visitors attention in all the right directions. Our clients in the tour and travel industry and those who provide services to foreigners do very well with their websites right now. Tourists often perform a Google search before landing on the island to find places that provide, accommodation, food and beverages, entertainment and medical services. We have clients who utilize their websites to meet all these needs and who get many sales leads through having their website. The internet lends itself to this type of business very well. Shipping, logistics and courier company websites in Jamaica take advantage of a fairly large audience looking for these services online. Quite a few of our clients are freight forwarders and so their customers already use the internet to research products on their favourite websites and shop online. It’s only natural that these internet savvy customers would also use an internet search engine to find a reliable freight forwarder or shipping company website. A shipping company website design that strategically directs the user’s attention to services they are looking for works well for our clients in this industry. Organizations that have a medium to large membership base comprise some of our most satisfied clients. They regularly use their website to communicate notices to their members and provide documents that are necessary for their members to fill out. Here, a well designed website has the advantage of making data capture easier: members can fill out forms in html which go directly to the secretariat or administrators of the organization. 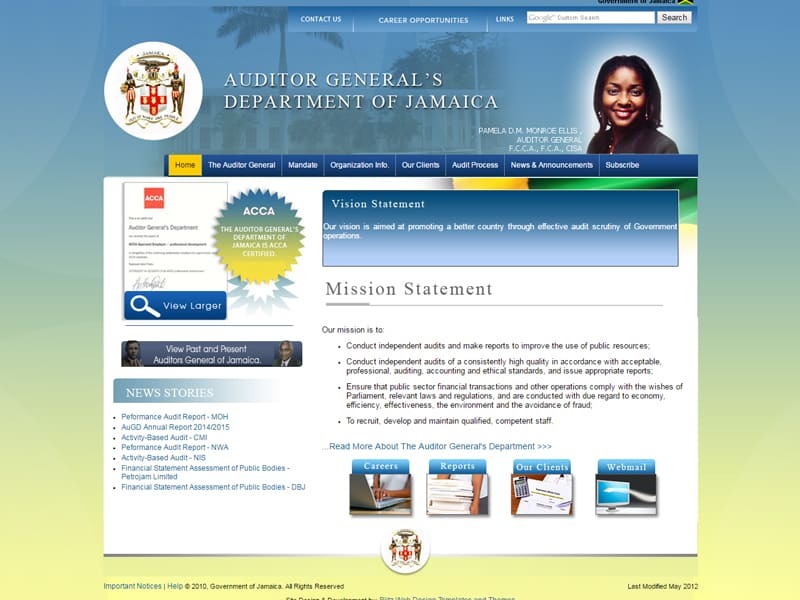 The medical council of Jamaica is one such organization that chose Blitz Web Design to design its website to meet the above-mentioned goals. They’ve been very satisfied with how effectively the website allows them to keep in touch with the thousands of registered doctors across Jamaica. If your organization has an existing base of members or is a church or non-profit that needs to communicate with multiple stakeholders, our experience tells us that a website will work very well for you. Like with manufacturers, Jamaican distributors of products made overseas tend to do well by having a website. Our experience is that they are better able to convey information to their potential clients by having a website that lists all their products. 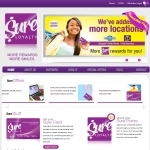 They are also able to introduce lesser known products to their existing customers through their website. Property and real estate websites do well for our clients. They serve as quick reference points to showcase a house or apartment for rent or sale. A well designed website with high resolution pictures and even video will cut down on the time real estate agents need to travel to show a property. Similarly with construction company websites in Jamaica, their customers love to see a portfolio or previous developments completed by the developer and also see if there are any development units for sale. Ecommerce website span a wide variety of industries. On the list of successful types of websites there are quite a few examples where ecommerce is concerned. However, we should note that ecommerce websites in Jamaica or in any other country have a higher probability of failure than other types of sites. We find that ecommerce websites require a clear strategic approach, higher investment of time and money and aggressive marketing to their niche that many of our potential clients are not initially prepared for. The conservative approach is to use a low cost ecommerce website template as a safe way to start your ecommerce project if your budget is limited. That said, we’ve documented many of the pitfalls made by clients who have set out to build ecommerce websites and want to share those with you. Read more on ecommerce websites below to find out. Personal blogs are a great way to document your knowledge and ideas about a topic that interests you. While your success may not be initially measured in dollars, there is something to be said for the satisfaction that posting your own thoughts and ideas for the world to see will give you. 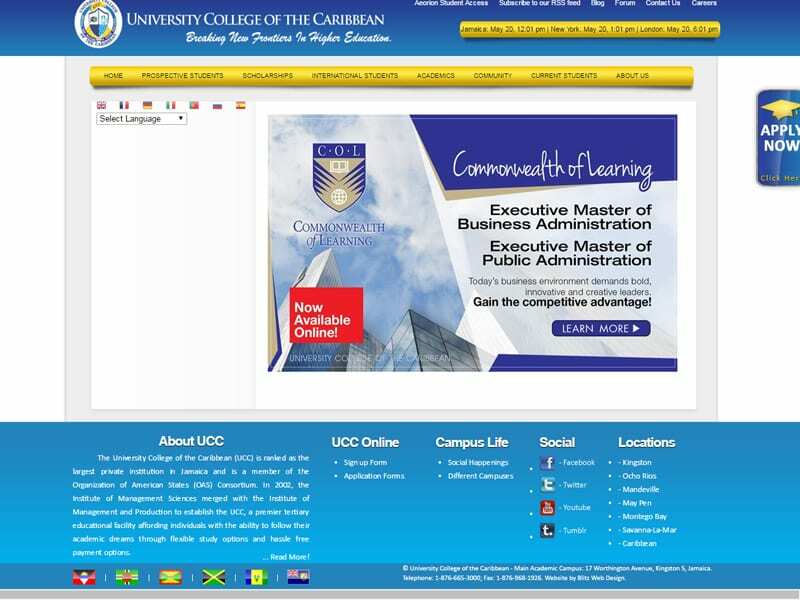 Your unique perspective as a Jamaican is valuable in the online space and can bring you traffic through search engines. There are many examples of small personal blogs that have become popular and get a lot of traffic allowing the blog owner to monetize that traffic in different ways. We’ll discuss monetization strategies later on. We’ve had many unique website ideas come to us over the years. The truth: despite our best efforts some websites are successful and some are not. Again, the initial objective of the website is a key benchmark for testing the success of each website project. Those clients who come to us with a clear strategic objective, and who have educated themselves on the work involved with owning a website tend to enjoy higher success rates in our experience. We also see that clients who have some significant real world advantage do better with their website sales/revenue. They either exclusively distribute a product or service, have a patented product or service or leverage some form of notoriety or celebrity in boosting their website to becoming a success. Again, despite our best efforts there are some types website ideas we find simply don’t work and you should steer away from. A classified ads type website that lists everything for sale. Websites that sell clothing, shoes, jewellery of no particular genre and which don’t have the real world advantage of a brick and mortar outlet to consolidate their niche. Any type of new social media website or dating website. Unless you have an enormous budget it’s better to just go make a Facebook page. Standalone membership discussion forums. It’s an outdated concept and social media does a better job. Any type of website that does not account for mobile users. With 60% of internet traffic coming from mobile this is a death sentence. Websites with flash and limited text. Content is king these days. Your website must have content or it will be lost to search engines. Flash is also not mobile friendly. Any website that requires users to pay or sign-up to get information that’s free somewhere else. Even if the above listed websites are well-built and visually appealing, factors such as a saturated market, low demand online, an outdated concept and an underestimate of time and cost commitment make these projects more likely to fail. Perhaps the most important reason these projects tend to fail is that they are not niche enough. Your website must target a specific niche in order to be successful. The problem lies in the fact that most people underestimate how large a particular niche is and how competitive niches can become overtime. What may be a small website niche with a small market today may become a mainstream online industry in a few short years. This is particularly true with websites designed in Jamaica because many popular niches abroad are quickly gaining momentum locally. Knowing the terms we use when explaining how we design your website will allow the flow of communication to proceed smoothly. Knowing the terms commonly used in website design will also help you to get a better idea of the time and components involved in putting together your website. Nameservers are strings of text resembling a domain name that links your domain name registered with one service provider to another service provider who is responsible for hosting the website that the domain will lead to. Nameservers are supplied by your web hosting provider for you to input your domain registrar. In some cases your web host and your domain registrar can be the same company. CMSs store all website information in a database and allow new features to be added to a website easily. A non technical person can easily use a CMS to update a website. CSS is a coding standard used to determine how the HTML structure will look. CSS adds color and further structure to an HTML layout. CSS 3 is the latest version of this coding language available to developers. CSS can produce grid-based designs, fullscreen layouts, column layouts and a wide variety of other usability formats. CSS also determines web typography including, font-size, spacing, style and much more. Responsive websites adjust to the screen, device or browser on which they are viewed. Displaying a different version of a website for a cell phone. PHP is used to dynamically generate web pages. PHP pages may be mixed in with HTML pages to generate an entirely new page based on conditions specified in the code. Languages such as PHP allow you to dynamically update your website using a content management system. Sizes are measured in pixels on your computer screen. We may ask you for images that have a certain pixel width. This simply means we want the picture at a certain size. UX Design speaks to features of your website that make information or products more accessible to website visitors. UX is geared toward making website more user-friendly and improves accessibility. A WYSIWYG editor works inside of a content management system to allow a non technical person to update a website. It basically makes editing a website as simple as writing a MS Word document. These are all types of images that can be placed online. PNG and Jpeg are most commonly used. Gif images are mostly used for animated pictures. PPC advertising presents a link to your website or webpage to users on a search engine or other website. You pay the PPC provider a small fee for each click that a user makes to get to your website. A landing page is the first page a visitor encounters when they get to your website. Along with the time and effort you will put into your website what you pay to have it designed should also be seen as an investment. You expect to have your website return some kind of tangible outcome over time and that’s exactly what it should do. As with any other purchase, the more features you want usually means the greater your financial input will need to be. If you’ve set out clear goals for your website your spend should be focused on achieving those goals. For example, most developers will charge more for a custom designed website as opposed to designing from a template. If earning revenue from your website is vital to the success of your project and your budget is limited, focus your spend on getting ecommerce, search engine optimisation, and some pay-per-click advertising rather than a custom design. Over time with Blitz Web Design, you will be able to perform incremental changes to the user experience design of your website for a low monthly cost. The important advantage here is that we focus on the factors which get you a return on your investment first, while staying within your budget and still producing a visually appealing website that can evolve over time. A company that is willing to share knowledge and expertise without charge BEFORE you start the project. A consistent track record of experience not just building websites but building successful websites. You would be better off doing business with a lotto scammer than engaging a company without a portfolio of successful clients. Engage web programmers who are also graphic designers or have graphic designers as a part of their team. Do not simply assume that your programmer is also equipped with creative graphic skills. Choose a company that can show you their method of pricing and doesn’t just pick a number out of the air. Companies that don’t have a specific pricing strategy are more likely to overcharge you in the long run. Choose a company you can easily find on Google for a relevant search term. If a company claims they can optimize your website for search engines they should be able to do it for themselves first. Bigger is not always better. Website creation is a highly democratized field: a small company can produce work on par with much larger firms. In some cases the smaller firm may offer more attention to detail. We are all using the same coding languages and standards. Go with a small to medium-sized firm such as ours that can dedicate a staff member to handle your needs. Remember, larger companies will have more expenses that they must pass on to you in order to be profitable. Avoid companies that offer custom design for under $5,000 Jamaican dollars. They are applying the ‘wholesale’ model: get many clients and charge each a small amount. It should be clear to you that ‘wholesaling’ something that requires attention to detail and visual appeal is a bad idea. Companies like these will get you a website cheap, but don’t expect them to offer any personalized service or to give you advice on how to make your website a success. If you are serious about building a successful website, go with a web development company in Jamaica who will charge a little more but has a vested interest in your project returning on your investment. Expect to pay more for features such as ecommerce, advanced SEO, custom web application or mobile app design. Discuss these costs in detail with your web developer before starting to design your website. If you expect your website to be your main income earner in the foreseeable future, look for more than just a web development company. Isn’t the Cost of Website Development going down? In general the answer here is: yes. Basic websites are alot easier to develop with the use of content management systems and professional web templates. This means that most web developers in Jamaica and world-wide have lowered their costs for developing the average website. Blitz Web Design has also introduced its Jouvert Website Builder geared at making it even easier to develop your business’ attractive professional website at low cost. However, this does not necessarily mean you will pay less for the particular type of website you intend to build. Feature-rich websites that involve membership sign-ups, complicated ecommerce shopping carts and checkout windows or which require a custom database to store data specifically relevant to your business will still attract higher costs from web developers due to the time involved. Even with your best planning as a lay-person, there will be variables that you would not have taken into account which your web developer must consider in order to structure his code or configure the content management system. Additionally, coding languages such as HTML have been expanded to include new features and best practises. If you want to keep your website in line with current trends you should take into account that these new features may take time to be implemented and will contribute to the cost of your job. Custom Website Design relies on talented graphic designers producing a unique layout for your website’s homepage and inner pages. Equally talented programmers then translate that design into a functional website. How does a custom design fit into my objective for a successful outcome for this website? Will the website having a unique look contribute to my overall objective? If my objective is increased sales, am I really sure that people won’t buy products from the website if it doesn’t look exactly the way I picture it? Do I have consistent brand messaging in the custom designed website that I have in mind? What do my potential customers want to see and is it in line with what I think would be good to have on the site? Only you can answer these questions. Considering them carefully can save you time, money and keep you focused on the success of your website. When We Recommend Using Custom Web Design. Whether you choose to build your website with a template or with custom website design your website must account for mobile devices. Jamaican Internet users follow the global trend of increasing mobile device usage. If your website does not account for mobile device uses you will miss many potential business opportunities. Detect the type of device (device-sniffing) and browser or user-agent (browser-sniffing) a visitor is using and present a different version of your website to them. Detect the window screen size even for desktop users and adjust the website accordingly. Present a simple navigation menu for mobile users (e.g. hamburger menu) which is more suitable for smaller screens. Hold the short attention span of mobile users by presenting the most important information first. Large responsive call to action buttons and text to create a fluid, flexible and elastic content experience. The panning, scrolling and resizing that your website does in response to mobile browsers significantly improves the experience, encourages them to interact with your site and even complete a sale. Additionally, large search engines such as Google are now using your website’s mobile compatibility as a way to rank you in their search results. If your website scores poorly for mobile compatibility your search engine rank will suffer. Mobile responsive web design is no joke and it’s not something you should ignore. If you have an existing website and it does not use mobile responsive principles you should seriously consider having it redesigned. Essentials to selling with a website online. Many popular niches abroad are just taking hold locally. This opens up many avenues for entrepreneurs to see success in a wide variety of niches. It’s always best to focus on a niche with any website project. Narrowing your focus to a particular market segment will make your website more appealing to your target customer and will better encourage sales. Develop a content strategy early on. Content is what will bring customers to your website more so than what you are selling. Almost everyone does research before they buy from a website. You need to become a reliable information resource on the products you sell to encourage more sales. e.g. Commit to maintaining a blog on your ecommerce website and update it weekly. Make a list of all the advantages your ecommerce website business will have. These may include: lowest price, better product variety, established relationship with suppliers, in demand niche with few large competitors, you may have an exclusive distributorship, you may know the niche well and have an established track record or celebrity status etc. Also consider if you have any real-world advantages within your niche that your competitors may not e.g a physical location, ability to ship cheaper etc. Consider how you can make it easier, cheaper or a more rewarding experience for someone to purchase from your website rather than purchasing in a physical store? List all the ways. How will your website integrate with existing sales channels like amazon or ebay? Are these channels relevant for your type of product or service? Establish collaborations and partnerships with complementary service providers who are already having success online. E.g: Plan on selling cell phone accessories? Partner with another online business selling actual cell phones, offer them discounts and free advertising. Also get backlinks to share traffic. Decide from the start on a payment processor or payment gateway solution. This means deciding on the company or service that will handle credit card transactions on your website. e.g. Paypal.com is a free service that most of our clients use to handle payments. DO NOT budget all your money on the design of the website. Many well-designed websites fail because there is no budget allocated to marketing and on-going maintenance. e.g set aside at least 20% of your overall budget for a pay-per-click advertising campaign after your website is launched. You may have other factors to consider for your particular product or service as the above list is by no means exhaustive. However, we find that when the above-listed factors are in place our clients are more likely to have a successful outcome with their ecommerce website. If you’ve done your initial checks, determined your advantages within your niche and are ready to start building your website, then now it’s time to decide what’s most important in the actual design of your website. Content Content Content. Your site needs to be focused on content. You don’t have to choose: you can have well-designed websites that are content rich. Content is even more important for ecommerce websites because customers will tend to do research before they buy. Focus on landing pages, MORE THAN the homepage: succesful ecommerce websites with multiple product pages that get high traffic tend to get only a small percent of that traffic going to their homepage. The majority of their traffic goes directly to inner pages that are optimized for what the user is looking for. These inner pages are called landing pages. Your landing pages should be bright and information-rich with large fonts and call to action buttons directing people to make a purchase. Be Transparent: Let your customers know who you are. Have an ‘About Us’ or “Our Story’ page that tells your customers why you started the website. People feel more comfortable purchasing when they can make a personal connection with you or your brand. Focus on Security: Besides making a connection, your customers also need to feel secure. Have an SSL certificate (the small browser lock) on any page that collects personal information from your website visitors. You should also be clear about your terms of service and any refund policies. Make Checkout Simple: the easier it is to complete a purchase on your website the more sales you will get. Have no more than 3 windows/panes in your checkout process before the customer’s credit card is processed. Integrate Social: Allow users to share their purchases with friends. Every product should also be shareable with friends on facebook and other social media platforms. You should also have active social media accounts to aid in your marketing. Make it Mobile Friendly: You could lose as much as 60% of your potential customers if your website does not account for mobile users. Collect Customer Information: Integrated into your website should be a way to collect customer data and send messages to them overtime. It’s easier to convince someone who has made a purchase from you before to do it again. Listen and Adjust: Get feedback from your customers and change aspects of your website overtime in response to their suggestions. Your ecommerce strategy for your Jamaican ecommerce website must take these factors into account. PayPal is a free service that can handle payments to a website via a credit card. There are other online payment processors that you can use. Each has their relative benefits and drawbacks within the Jamaican context. Stacey-Ann Hayls, is a Jamaican social media practitioner who has a comprehensive write-up that answers many questions Jamaicans will have about accepting payments online. You should also read her Payoneer Review to see how you can use that service to get money directly to Jamaica.